Earlier this month, the Philadelphia Inquirer published a story entitled “Those fighting region’s hunger are fighting each other.” A disturbing headline indeed. We Americans embrace competition, but among our non-profits? That’s unsettling, despite the fact that the most frequent criticism directed at non-profits is that they don’t behave enough like real businesses. That is changing: the reality is that our food recovery agencies are facing surging demand for their services amid dwindling sources of supply and entrenched barriers to food donations. Let’s consider those barriers, and where we should focus attention. A key obstacle that limits donations and exacerbates food waste is fear of liability. 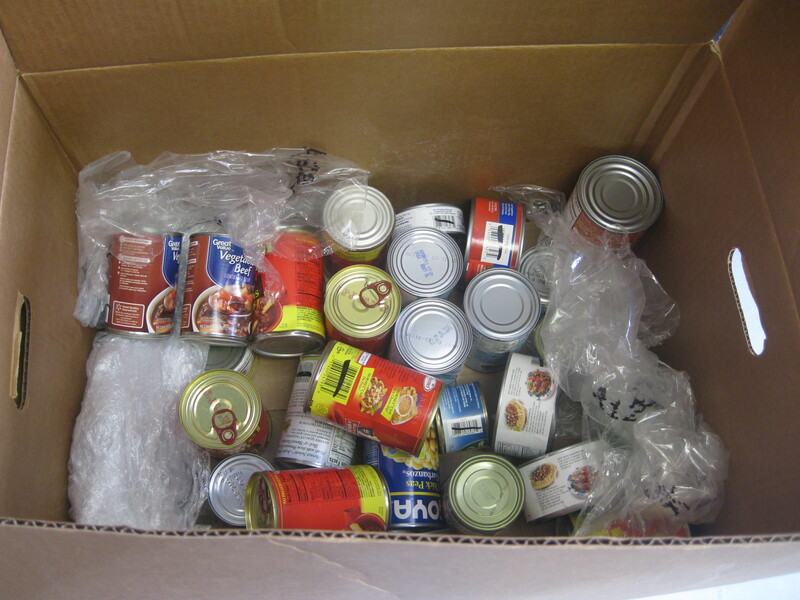 Organizations with excess food are reluctant to donate fearing that individuals might claim that they were sickened by that food. The government wisely addressed this concern with passage of the Good Samaritan Food Donation Act of 1996, which was designed to protect organizations donating food in good faith. The concept is sound, but reality saps its effectiveness. Although shielded from legal action as long as they are donating with good intent – a relatively easy bar to pass – organizations fear the “reputational risk” from a claim of sickness arising from their donations. How would future sales be impacted by a story about a “tainted” food donation? The potential for any such claim, valid or not, often spurs the “safe” approach from operations managers. When in doubt, throw it out. It’s a shame, because this fear prevents vast amounts of edible food from getting to myriad food organizations where it can do much good. A second factor involves reluctance to disrupt operations. Organizations go to great lengths to simplify processes in order to minimize labor costs. Sending excess food to the trash bin is a simple flow, and landfill costs are still relatively inexpensive. As a result, organizations are “geared” to discard excess food. Engaging in a program to divert some of that food to a charitable food organization is viewed as an extra step that introduces additional complexity, and costs, to already-lean operations. A third concern involves reliability. Even if an organization takes the time to engage in conversation about a potential food donation program, its managers need strong confidence that the non-profit partner will pick-up the material on schedule, at all times, to prevent operational disruption. Fourth, aside from the benefits of donations from a corporate social responsibility standpoint, donors are motivated by financial benefits. Donations require sound record-keeping to tally the financial benefits of tax deductions and reduced trash haul expense. We shouldn’t be surprised to see signs of tension between food banks, food pantries, and food shelves today. One could argue that a small amount of tension is good, because it promotes efficiency in the system. Charitable food organizations seeking donations must provide reliable service to their donors in the form of timely pick-ups, accurate record-keeping and positive press. Those that fail to provide good service will struggle to attract food donations for their constituents; those that provide tangible benefits to donors are likely to continue to attract food donations. Larger hunger-relief organizations may have an advantage in terms of resources to draw on in addressing the concerns noted above, but smaller organizations can leverage the advantages of agility, close proximity to local donors, and a growing “pro-local” movement. Different models for food recovery will, and should, exist depending upon the scale and operational goals of both donors and food recovery agencies – but ultimately effective relationships and reliability are the key toward increasing food donations. The real focus. Food recovery is not an issue of us versus them, local versus regional, pantry versus food bank, or David versus Goliath. It is an issue of socially conscious individuals at multiple organizations engaged in an effort to do one really good thing: feed hungry people. Are there inefficiencies? Sure. Is there some level of competitive rivalry? You bet. Can the system be improved? Absolutely – and this is where we can all play a role. The real opportunity here is to focus on the problem of hunger at a higher level. Something is seriously amiss when roughly 50 million individuals (one in six) in the most prosperous nation on Earth are hungry – many of them children and seniors. The real “story” here isn’t to portray the friction between charitable food organizations, but to address why vast quantities of edible food are routinely sent to landfills (where they contribute greatly to air and water pollution) rather than to all manner of charitable food organizations (who serve an increasing base of constituents with desperate need). Our moral outrage should first be directed at our system and behaviors that promote such waste. From there, our focus should be on collaboration versus competition. Partnerships versus friction. We all have a responsibility to work on ending hunger. In the short term, that involves supporting the agencies – large and small – that are working to capture healthy food for hungry people. In the long term, it involves working to eliminate the root causes of the hunger problem, such as education and jobs. Doing both would eliminate the need for an extensive system of food banks while freeing talented people and resources to work on other pressing problems. Therein lies the win-win. Focusing on the friction is a costly distraction we can’t afford.